A U.S. Army 1st lieutenant is competing to spend a year on a Canadian Island with the Mars Arctic 365 program. 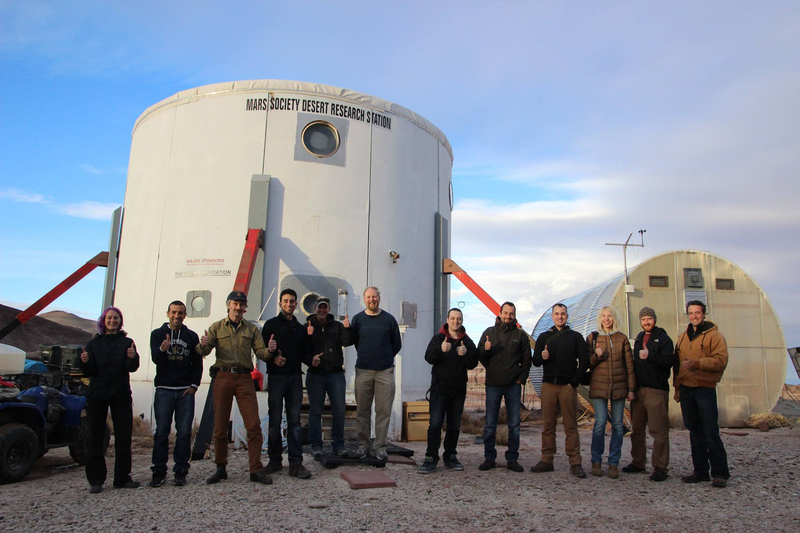 Finalist candidates for the Mars Arctic 365 Mission (MA365) are currently participating in field testing and training at the Mars Society’s Mars Desert Research Station (MDRS) in southern Utah as part of the down select process. 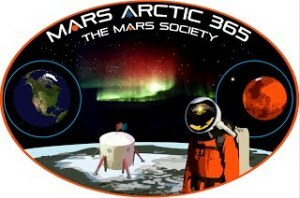 Twenty one finalists have been selected for possible participation in the Mars Society’s Mars Arctic 365 (MA365) mission. 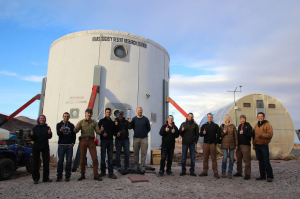 These finalists have been divided into three crews of seven persons each and will be sent to the Mars Society’s Mars Desert Research Station (MDRS) in southern Utah for further training and to gain data for the remaining selection process that will lead to the choice of the final six-person crew to perform the MA365 mission. The Mars Society unveiled yesterday the official mission patch for its Mars Arctic 365 (MA365) venture, a historic 12-month human Mars surface simulation that will conduct a unique program of field exploration in one of the most Mars-like environments on Earth – the Canadian Arctic, while operating under many of the same operational constraints as an actual human mission on Mars. There is a second reality series project devoted to chronicling a mission to the Red Planet. Leslie Greif’s Thinkfactory Media (Hatfields & McCoys, Gene Simmons: Family Jewels) has partnered with The Mars Society, a non-profit organization dedicated to the exploration and settlement of the Red Planet, on an unscripted TV project that would document Mars Society’s year-long Mars simulation in the Canadian Arctic. Thinkfactory had been working with the Mars Society on the project for the past four months. The Mars Society, the world’s largest space advocacy group dedicated to the human exploration and settlement of the Red Planet, launched a special Indiegogo crowd-sourcing campaign today to help fund the organization’s Mars Arctic 365 (MA365) program, a historic one-year simulated human Mars mission in the Canadian Arctic. The online campaign, scheduled for 60 days, will seek to raise $100,000 to support this never before attempted Mars research initiative. Far off though it may seem, people are getting ready to live on Mars. The Mars One mission is selecting contestants for a one-way trip/reality show that is scheduled to launch in 2022. At the same time, the Mars Society is in the process of finding a six-person crew for their most ambitious mission yet: a year of living 800 miles from the North Pole in the Canadian Arctic, starting this August. The semi-finalists for crew selection for the Mars Society’s Mars Arctic 365 (MA365) mission have been announced. Chosen from a group of over 200 applicants, the 62 semi-finalists consist of 49 men and 13 women drawn from 17 countries, including the United States, Canada, Brazil, the United Kingdom, France, Germany, Italy, Sweden, Finland, Russia, Ukraine, Bulgaria, Turkey, India, Japan, Australia and New Zealand. The 62 individuals selected represent a wide range of expertise and skills including geological, biological, medical, aerospace, mechanical and electrical engineering, mechanical trades, journalism and Arctic and wilderness survival training. Mission to Mars: Can Pilots Help Us Get to the Red Planet? 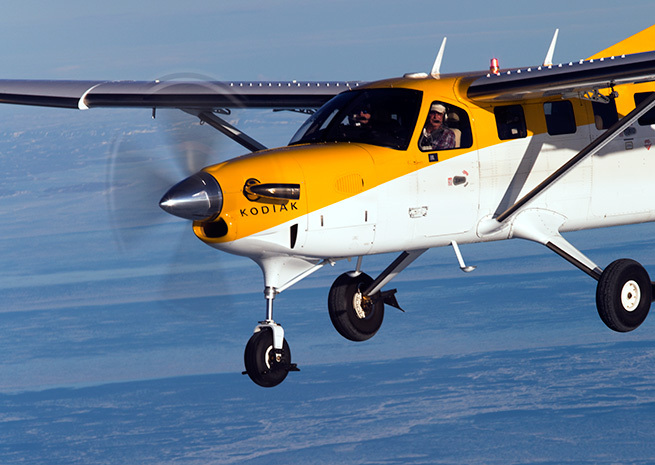 Loaded near maximum weight, a flight of two Quest Kodiaks cruised in the Arctic summer sky over vast swaths of barren tundra and sea ice fraught with history. The steady thrum of their Pratt & Whitney turboprops was reassuring, although the pilots were inspired more than once to speculate whether the sea ice below could hold 7,000 pounds of airplane. If it ever came to that, a safe landing would only mark the beginning of a struggle to survive in a land that has seen many fail. If you’re ready to take a timeout from your life and spend a year living in the Arctic on a simulated Mars mission, the Mars Society wants to hear from you. 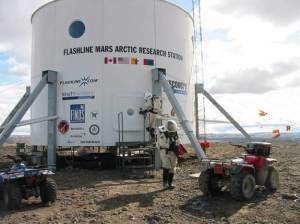 The non-profit group, which advocates for manned exploration of the Red Planet, has released its requirements for the six volunteers who will be expected to spend 12 months at the society’s Flashline Mars Arctic Research Station on Canada’s Devon Island, which is about 900 miles (1,450 kilometers) from the North Pole, beginning in July 2014. The Mars Society is seeking six volunteers to participate as members of the crew of the Flashline Mars Arctic Research Station (FMARS) during an extended simulation of human Mars exploration operations on Devon Island in northern Canada (August 2014 through July 2015). As currently planned, the crew will consist of four individuals chosen primarily for their skills as field scientists in areas including geology, geochemistry, microbiology, biochemistry and paleontology. Two additional crew members will be chosen primarily for their skills in engineering areas. The ability of crew members to support both roles is considered a strong plus. 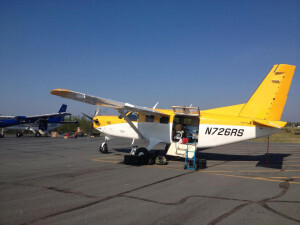 Two Quest Kodiaks headed for Yellowknife, Northwest Territories, Canada, on July 8, a daylong journey from Driggs, Idaho. 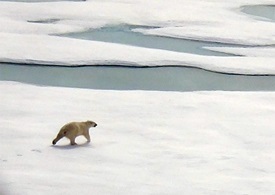 Still short of the Arctic Circle, the expedition had already provided an opportunity to contemplate survival in the bush: Northbound from Lethbridge, Alberta, Canada, where the heavily laden aircraft cleared customs and took on fuel, Richard Spencer’s fuel gauge began to drop, quickly, reaching zero in one tank while still an hour away from Slave Lake. 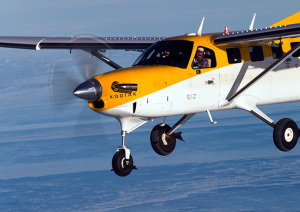 “You’ve got four fuel caps,” said Dr. Richard Sugden, who had been cleared by ATC to approach Spencer’s blue Kodiak for a look at the wings. Spencer betrayed few outward sign of stress, though he frequently cycled through Garmin G1000 pages, watching the estimated range ring shrink on the map, then returning to the page showing engine gauges—including an allegedly empty tank in blinking red. 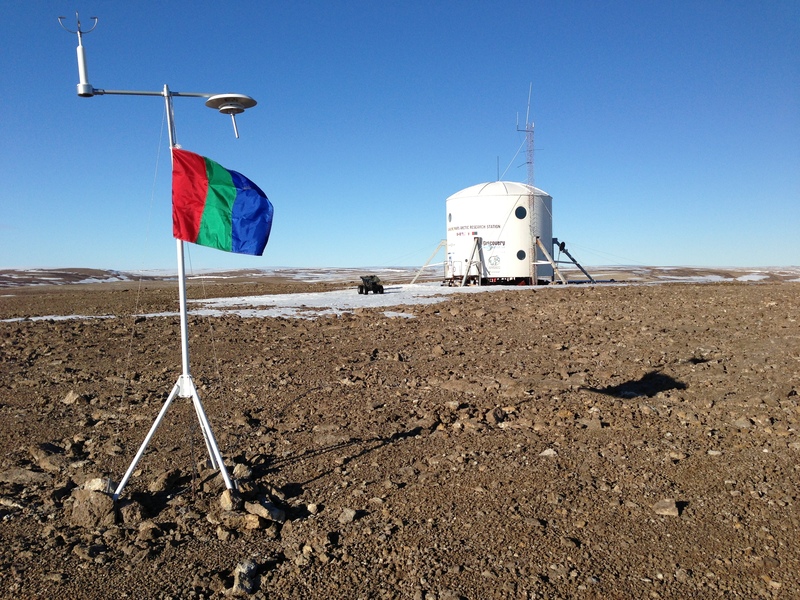 The Mars Society is pleased to announce that the Mars Arctic 365 (MA365) Phase 1 mission has been successfully concluded. Led by Mars Society Steering Committee member Joseph Palaia and including Adam Nehr, Justin Sumpter, Barry Stott, Garrett Edquist and Dr. Alexander Kumar and supported by experienced pilots Richard Sugden and Richard Spencer, journalist Jim Moore and the staff of Mars Society HQ, the crew has completed the key essential mission objectives and has returned safely to civilization. Departing from Idaho on July 8th, the mission spearhead, composed of Palaia, Nehr and Sumpter, reached the Flashline Mars Arctic Research Station (FMARS) located in the polar desert on Canada’s Devon Island on July 10th. Supported by and eventually joined by the others, the team set about refitting and improving the facility, which had been dormant since 2009. The structural condition of the FMARS facility was assessed and found to be in excellent shape. The station’s electrical, water and waste disposal systems were all successfully reactivated. A new induction cooking range was installed, and other interior fixtures were also refurbished. The on-site stored food supplies were assessed, with most found to be sound and the rest disposed of. Outside the FMARS hab, a berm to enable secondary containment of large quantities of fuel was built and stockpiled with diesel fuel. Two new airstrips were opened up to help assure good logistic support of the station despite unfavorable crosswinds, snow or other nuisances that might impede operations were the mission restricted to just one airstrip. 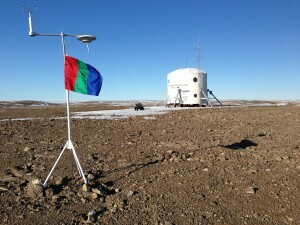 A weather station, useful for both climate research and support of mission operations, was installed and activated. 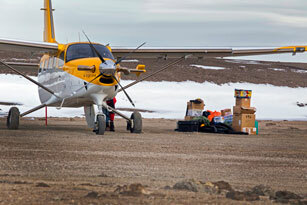 Large amounts of additional equipment from U.S. and Canadian suppliers were also transported to Resolute Bay, where it will be stored over the winter and ready for rapid deployment to FMARS in July 2014. MA365 is a plan to simulate a one-year Mars human surface exploration mission at FMARS. The mission crew will conduct a program of field exploration in one of the most Mars-like environments on Earth, while operating under many of the same operational constraints as an actual Mars mission. 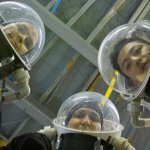 In the course of doing this, crew members will learn a great deal about which methods, technologies and tactics will work best on the Red Planet. 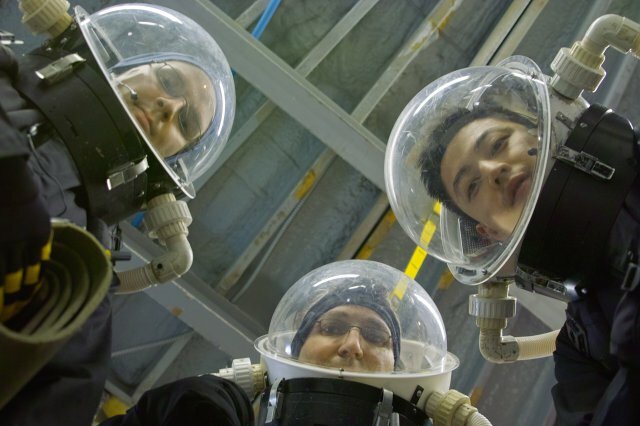 Furthermore, they will do this while dealing with the stresses that come not only from isolation, as the Mars500 crew experienced, but also cold, danger, hard work and the need to achieve real scientific results, and thus truly begin to explore the critical human factor issues facing Mars exploration. Nothing like this has ever been done before. The preparatory Phase 1 of the MA365 mission has now been completed. Phase 2, which will include final refitting operations followed by the initiation of the one-year Mars simulation, will begin in July 2014. A call for crew volunteers for the MA365 Phase 2 expedition will be issued shortly by the Mars Society. Financial contributors are also needed to enable and support the MA365 mission. All donations to the Mars Society are tax-deductible (federal tax ID number 31-1585646). Numerous sponsorship opportunities, including purchase of the mission name, are available. Please contact Mars Society Executive Director Susan Holden Martin for more details. A gallery of photos taken by the MA365 Phase 1 crew has been posted on the mission’s new web site (www.ma365.marssociety.org). Also a complete report on July’s MA365 expedition and plans for the one-year simulation mission will be presented at the 16th Annual International Mars Society Convention to be held at the University of Colorado Boulder, August 15-18, 2013. The preliminary schedule for the conference has been posted, and online registration is available. Crew members of the Mars Arctic 365 mission (Phase 1) have begun their journey to the Flashline Mars Arctic Research Station (FMARS) in northern Canada, departing earlier today from Idaho. 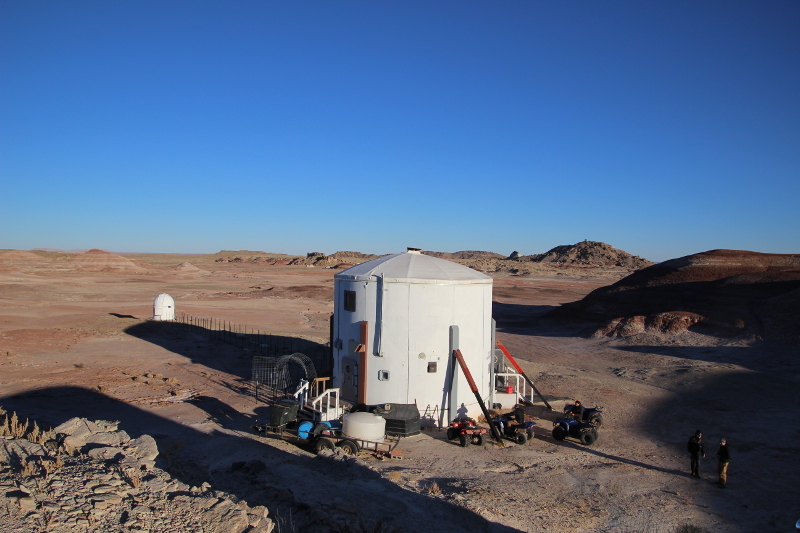 Weather permitting, the team is expected to arrive on Devon Island on Wednesday to begin a two-week expedition to upgrade and refit the FMARS facility in preparation for the one-year Mars surface simulation, which is expected to begin in the summer of 2014. Regular updates, including photos and videos, will be posted on this web site and related Facebook page. The Mars Society announced today that it is initiating an effort to conduct a one-year simulated human Mars exploration mission in the Canadian high Arctic at its Flashline Mars Arctic Research Station (FMARS). Situated at 75 degrees north, roughly 900 miles from the North Pole, FMARS is located adjacent to a 20 kilometer meteor impact crater in the midst of a polar desert that is known to represent one of the most Mars-like environments on Earth. By conducting a Mars surface mission simulation at FMARS of the same duration as is needed for an actual expedition to the Red Planet, the Mars Society will take a major step forward towards learning how humans can most effectively explore the new interplanetary frontier. 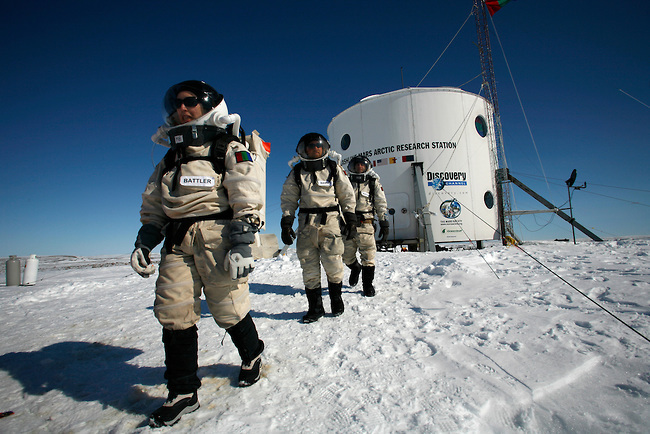 The Mars Society plan, called Mars Arctic 365 (MA365), is divided into two phases. Scheduled to commence this July, the first phase will accomplish the refit of FMARS and enhance the facility’s equipment, enabling it to support an effective one-year mission, which will require wintering at the station through six months of deep sub-zero temperatures. Phase 2 will be the one-year simulated Mars mission itself. Among the goals of the MA365 Phase 1 mission will be to refit and better insulate the hab, build an equipment storage shed and add two new generators, a thermal heating system, four all-terrain vehicles (ATVs), four snowmobiles (skidoos), a weather station, a ham radio station backup com system, a small electric range and an upgraded lab. Those contributing $5,000 or more will be given the right to name any one of the 16 aforementioned major units (the hab was named after Flashline.com in July 2000) as they choose, on a first come, first choice basis. Please indicate your top three preferences with your donation. The Mars Society, 11111 W. 8th Avenue, unit A, Lakewood, CO 80215. All donations to the Mars Society, a registered 501(c)(3) non-profit organization, are tax deductible. Our organization’s federal tax ID number is 31-1585646. Please express your support for Mars exploration by giving generously. A complete report on the MA365 Phase 1 mission will be given by members of its crew at the 16th Annual International Mars Society Convention, August 15-18, 2013 at the University of Colorado in Boulder. For more information about this year’s Mars Society convention, including registration details, please visit our web site.